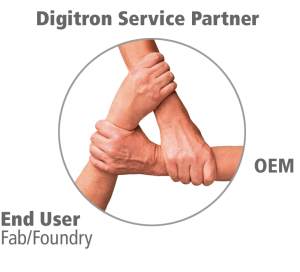 DIGITRON - Your dedicated Service Provider. DIGITRON Engineering Services is a company that knows how essential it is to understand the strategic and tactical needs of our clients. We listen to our partners and provide customized outsourcing solutions for equipment manufacturers that meet their business objectives, both short and long term. 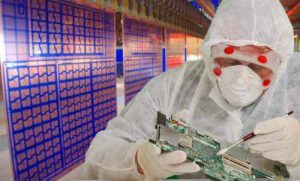 Our partners rely on us to help them smooth fluctuations and phases when business peaks in the semiconductor market while managing their human capital more efficiently. Headquartered in Munich, Germany, we offer global exclusive and independent maintenance and support services. We are a multinational and multicultural group with subsidiaries in Dresden/Germany, Zelenograd/Russia, China and Taiwan.